***** APRIL & MAY SPECIAL ***** Luxury Oceanfront/Beachfront Vacation Rental! 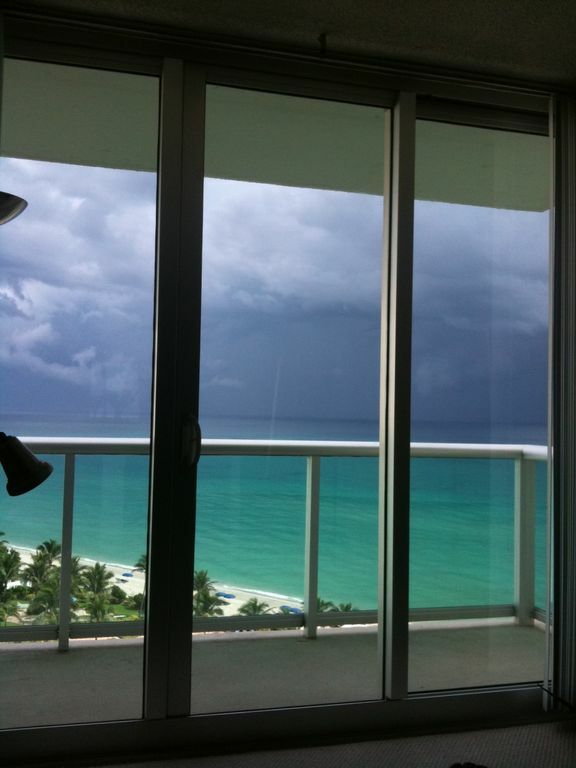 Gorgeous fully furnished oceanfront condominium in the heart of Hollywood Beach. This condo features all modern amenities and upgrades that rival those of South Florida's finest new residences. This condo has breathtaking direct ocean/beach & pool views from the living room, bedroom and balcony. Very large and spacious 1 bedroom with plenty of space for the entire family. Just 20 minutes from Ft. Lauderdale airport and minutes from downtown Miami. This immaculate condo has a fully remodeled Euro-style kitchen with stainless steel appliances including Full size Refrigerator, Stove, Dishwasher, Microwave, Coffee Maker & Toaster. Kitchen is fully equipped with everything you will need during your stay. The unit is beautifully designed and features all contemporary furniture. The condo sleeps 6 people. Spacious closets (2 walk-in closets in bedroom) beautiful carpet and tile, 2 TVs (living room and bedroom), DVD Player, complete entertainment center with stereo and CD player. Vacuum cleaner, cooking utensils, fresh linens and plenty of towels (including beach towels) are included. Make this vacation property your home away from home! 30 days minimum rental. Please inquire with any questions regarding your specific dates & availability. The property contains all the amenities anyone can ask for including: a beautiful oceanfront pool deck featuring lush exotic landscaping, oceanfront swimming pool, lounge chairs, private beach access, state of the art fitness center, movie theater and much much more. Hollywood's Hard Rock Hotel and Casino with over 2000 games (slot machines, poker tables, etc.) is only 15 minutes away. The property is centrally located and is about 15 minutes from Ft. Lauderdale International Airport and 30 minutes from Miami International Airport. South Beach is less than a half-hour drive. You are also a short walk from the famed Westin Diplomat Resort with its upscale restaurants and shops. Minutes from fine dining and great shopping. Hollywood Boardwalk, Aventura Mall, Bal Harbour shops, Horseracing & Casino at Gulfstream Park, Boating, Fishing are all close by. ***** Ask for DETAILS and additional PICTURES!!! - Special Rates Available *** Includes: Free WiFi in the condo, Cable TV and all utilities! (E-Mail or Call for Specific Dates, Availability & Additional Rates) - 90 day minimum Rates vary & are subject to change without notice!